By Don Desrosiers, Tailwind Systems, Inc. I don’t write about customer service too often. That is mostly because, like quality, I don’t consider it up for discussion. We are in a customer service business. That means service the customer. Even though I wrote about customer service in a recent column, I feel compelled to do so again for a good reason. I found a foolproof way to ensure you are giving good service! It’s easy, look at what the airlines do and do the opposite! Really. I happen to be a pilot and have been so for nearly 25 years. Travel by air, no matter the means, can be unpredictable. I fully understand that travel can be disrupted by a number of ways. Maintenance issues, weather issues and logistics can easily disrupt an otherwise perfect plan. When I whine about the airlines, it is never about these issues. When it comes to these types of issues, I grin and bear them. In business, it is not whether or not you have problems, it is how you deal with them when they arise. When the founders of Staples decided to get into the drycleaning business by way of Zoots, they made a critical miscalculation. In the world of office supplies, when there is a quality issue with the product that you buy, this issue presents an opportunity for Staples to shine. When there is an issue, Staples always takes care of it and you leave satisfied and happy. 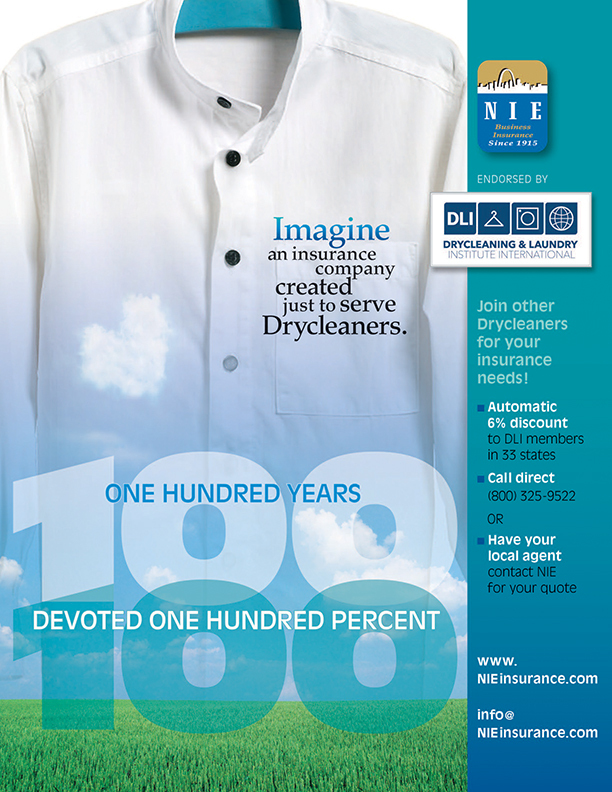 When there is an issue in the drycleaning business, trust degrades. The customer loses faith in you, sometimes just a little, sometimes a lot. You can make a customer happy, but it isn’t likely that you shine. When you walk out of Staples with a new printer because your slightly-used one failed, you’re in a better position because a product you bought there failed and has been replaced. I don’t think this can be replicated in the drycleaning and laundry business. But I digress, let’s talk about the airlines. I will name names, but maybe my editor will delete them. I am in one of the highest levels of the United Airlines loyalty program. I love it. I get free checked luggage, I always sit in the same place, often the same seat. They know me by name. I can change my flight with little or no hassle. I usually eat free. I am made to feel important, every single time. Other airlines may not know it, but I am their dream customer. Every airline in the country wants a customer that buys tickets not by price, but by schedule. That’s me. I was done teaching my management Boot Camp class and I had the opportunity to return home early. I tried to get on an earlier flight. The agent told me that I had a certain class of ticket that did not allow me to change my flight, apparently for any reason. I thought she was rude. I went to the Delta customer service desk, (Ah, ha! Service the customer!) and asked if I could go on standby for an earlier flight. She said “that’ll be $75. We don’t do standby. And the flight that you want to get on is oversold.” I responded; “So you want $75 for a slim chance of getting on?” This is idiotic and surely must border larceny. She looked at my ticket and said she wouldn’t be able to do it anyway, because of my class of ticket. She said, “You can’t change that class of ticket because it is a ‘basic economy ticket.’ I told her I had no way of knowing this. I just bought a low price ticket, which just happened to fit my schedule perfectly. There was no mention of me being treated like a third-class citizen by buying this ticket. Now, before I go on, just think about how we could do something similar in the drycleaning business. If you offered a lower price for a two-piece suit, could you, or would you, give the customer less? You would clean and press the suit, afterall. Delta did what was basically expected. They did fly me from Atlanta to Providence. But, if the customer wanted the suit a day earlier, you would abruptly deny their request and explain how they did not pay enough. Free minor repairs or stain removal are merely a pipe dream, so forget it. The customer, like me with Delta, would never understand that they paid for sub-par service. No one said, “If you pay $100 we will treat you like a customer.” They took the money and exploited the opportunity to give poor service. It is almost like they wanted to show me how bad they could be. I asked the Delta agent, “Do you mean that if there was a vacant seat in the airplane, you would take off with the empty seat rather than give it to me?” She said, “Yes. Because of your class of ticket. ” I was appalled, no doubt, but I’m not even sure I can assimilate such a policy or such a situation in our business. How about this: Your home delivery driver goes by your house and notices a suit that wasn’t supposed to be delivered until your next scheduled delivery day. The suit is ready to go and hanging in the truck. “Sorry!” (No, he or she wouldn’t apologize in this example). When you ask for the suit, the drive might say “Can’t do it. That is to be delivered next week.” You’d be shocked and hard-pressed to make sense of it. Back at the airport, because I couldn’t get on an earlier flight, I have a three-and-a-half-hour layover. As I wait, the gate is changed four times. That is like someone going to your drive through and being told to park their car and pick up their order at the counter. You’re puzzled, but you comply. But you really don’t understand when that happens two more times! I asked the Delta agent if I could just fly out tomorrow. Nope! I would still be on Delta’s version of standby tomorrow and it would cost $75 to possibly be denied boarding. How about asking a customer to pay more, to get their suit later, maybe! Geez. Now my flight was delayed two hours. I went to the gate that had that an earlier flight nearly ready to depart. I waited two hours. I was on standby (sort of), and seventh in line. No seats. Then there was another flight. I was on the wait list, fourth in line. But then I kept dropping down in the line! All because I “didn’t pay enough” (their words). I was eventually seventh in line. I was a last-class citizen. Then, just before departure, they cleared six passengers to board. I was left standing, punished because I didn’t pay enough! This is like if you had a customer, waiting to get their dress pressed. “It’ll be just a minute. Your dress is cleaned, it just needs to be pressed. Meanwhile, six other customers come in and all of their needs are taken care of by the presser. Just as the presser is about to press your dress, finally, it is quitting time and your dress is ignored. I am quite sure that not one of you reading this is as mean and as bad towards customers as I describe. Good thing. But that isn’t the point. In reality, Delta forced me to realize that United was the way to go for me. I’m sure that Delta takes good care of their best customers just like United does. I unwittingly gave Delta an opportunity to “wow” me, and they failed miserably. They said, “We don’t know you and we don’t want you. Sit down.” They should have said, “Thanks for the opportunity to serve you and to show you why we deserve your business. We are glad to have you.” That is so far from reality that I had a heck of a time just typing it. The next customer who walks in could be your newest best customer. Best customers come from somewhere. Don’t miss the opportunity to impress. Don Desrosiers has been in the drycleaning and shirt laundering business since 1978. He is a workflow engineer and a management consultant who provides serves to shirt launderers and drycleaners in the United States, Mexico, and western Europe through Tailwind Systems. He is a member of the Society of Professional Consultants and the 2001 recipient of DLI’s Commitment to Professionalism Award. He can be reached at 186 Narrow Avenue, Westport, MA 02790 or at his office by fax (508) 636-8839; by cell (508) 965-3163; or e-mail at tailwindsystems@charter.net. He has a website at www.tailwindsystems.com. The author’s views are his own and do not represent official Drycleaning & Laundry Institute positions. Next postStop that Expensive Leak! You could certainly see your skills in the work you write. The sector hopes for even more passionate writers such as you who are not afraid to say how they believe. Always follow your heart.